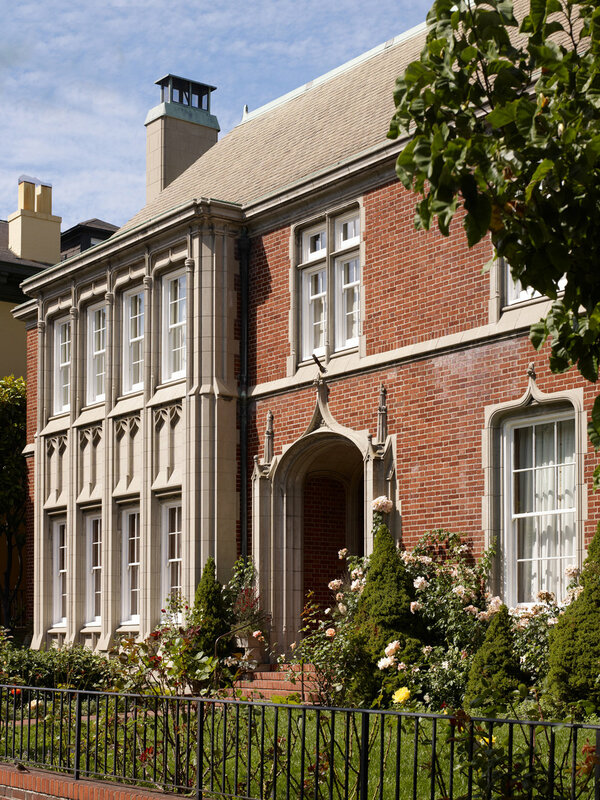 The British Consulate, a Tudor Revival-style manor built in 1881, was the privileged location of a formal gathering in honor of Queen Elizabeth II and Prince Philip. The gracious house overlooking the bay was the site of many such galas for visiting bluebloods, including visits by Prince Andrew and other dignitaries. Over the years, many of the rooms, corridors, and gardens became stodgy, and received a much-needed facelift. David redesigned the graciously proportioned master bedroom with the finest and most relevant 18th Century European antiques, rare artifacts, and prized art, including a genuine Monet. Many of the other carefully selected Asian and European antiques reflect an English fascination with the Orient during the 18th Century. David intentionally respected the traditional design of the home, while fabric selection and colors reflect current trends inspired by couture fashion houses of today. The interaction of rich textures, softly muted colors, and a highly refined curation of museum quality art and antiques culminate in this exceptionally luxurious, yet serene master suite.